Awe-inspiring art, breathtaking views, fine food, rich in culture, beach on the doorstep, world class sport – these are just some of the reasons why Barcelona is the ultimate holiday destination. The Catalan capital is a place of enchantment, an Iberian jewel looking out onto the Mediterranean. Its characteristics are unlike any other holiday destination with architecture bearing the hallmarks of the city’s favourite son Antoni Gaudí. However, it blends the old with the new as the modernity of Gaudí’s masterpiece Casa Batlló contrasts with the winding streets and 14th century cathedrals of the Gothic Quarter. It is not surprising that Barcelona is one of the most popular tourist destinations in the world. Every year, millions of people flock to this corner of Catalonia to immerse themselves in culture, indulge in retail therapy, embrace new food and snap photographs of iconic sights. And there are plenty of them. Gaudí’s influence throughout Barcelona is evident in two of the city’s main landmarks – Sagrada Família and Casa Batlló. Both are famous sights in their own right and showcase the unique approach to architecture and design that Gaudí brought to his projects. 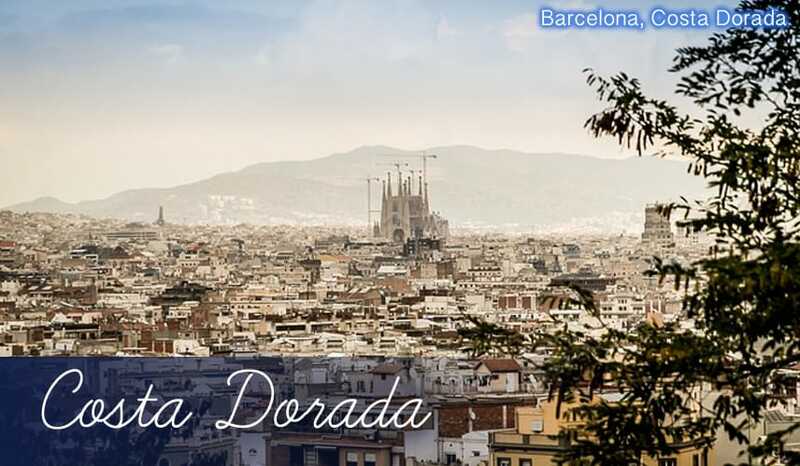 Sagrada Família is the instantly recognisable postcard picture of Barcelona. This towering cathedral is a breathtaking blend of Gothic and Art Nouveau styles which Gaudí, or anyone else, hasn’t managed to finish. It is fitting that the cathedral is expected to be completed in 2028, coinciding with the centenary of Gaudí’s passing. Spend a couple of hours exploring both inside and outside of this wonderful building that has stood in Barcelona since 1882. Barcelona’s love of art runs through the city. Casa Batlló is another of Gaudí’s creations, a stand-out home of mosaics, curving facades and tinted windows but it is not just Gaudí which has a home in Catalan hearts. The city has museums dedicated to the work of Pablo Picasso, Antoni Tàpies and many more. Art not your thing? How about a spot of retail therapy on La Rambla? Stretching into the Gothic Quarter, this famous street has a huge array of market stalls and designer shops and you can spend an afternoon discovering the veritable treasure troves that reside here. Take a quick dive down one of the side streets and you’ll discover plentiful restaurants serving up traditional tapas and cocktails long into the evening. Sports fans will no doubt want to check out the Olympic Village and no trip would be complete without visiting the famous Nou Camp. The huge amphitheatre of football is home to FC Barcelona, one of the most decorated teams in football history. Boasting stars such as Lionel Messi, Neymar Jr, Luis Suarez and Gerard Pique watching a match in this famous stadium can be a truly magical experience. Then, of course, there is the beach. Barcelona is not just the perfect city break destination but it also combines that typical holiday vibe with a beautiful stretch of shoreline. Spend the morning picking up souvenirs on La Rambla, the afternoon on Barceloneta beach and the evening with a game at the Nou Camp. Sounds pretty good, doesn’t it? No matter what holiday you are looking for, Barcelona can be all that and more. As one of the most cosmopolitan cities in the world, you won’t be short of finding an attraction in Barcelona. The city is characterised by the work of one of its favourite sons – Antoni Gaudí. The modernist architect helped to shape Barcelona and arguably created two of the city’s most iconic landmarks. His crowning glory is the incredible Sagrada Família. The unmistakable church is known across the globe with a unique design and incredible legacy. Construction has been ongoing for over 100 years, the ground was originally broke in 1882, and is famously yet to be completed. Gaudí envisaged the church to be a combination of Gothic and Art Nouveau styles and worked on the project until the day he died in 1926. Since then architects have vowed to keep as close to Gaudí’s design as possible. It is estimated to be completed in 2026, a date which aptly coincides with the centenary of Gaudí’s passing. Another of Gaudí’s major masterpieces is the Casa Batlló. The architect was commissioned by Spanish businessman Josep Batlló in 1904 to completely renovate his home. The result is truly incredible with another blend of Modernism and Art Nouveau, the Casa del ossos (House of Bones) is a colourful reminder of the magic of Gaudí. It has since become a real tourist favourite. Away from Gaudí’s prowess there is the famous Las Ramblas – possibly the most famous shopping street in Europe. It is a hive of designer stores, market stalls and theatres and an absolute must for anyone visiting. If art lovers haven’t had their fill with Gaudí, you can visit the Picasso Museum which chronicles some of the extraordinary artist’s most famous works. Whether you are a football fan or not, a visit to FC Barcelona’s home stadium Nou Camp is an absolute must. This 100,000-seater amphitheatre of football is open for tours throughout the year where you can see the huge array of trophies, dressing rooms and even sit in the dugouts at the home of one of football’s greatest teams. Visit between August and May and experience the atmosphere of a match. One of the great things about Barcelona is that it is a city just waiting to explore. While it is a fairly big city it is perfect to walk around and avoid the bustling Metro systems. Stop by one of the independent restaurants for a spot of tapas, this is a brilliant way to see the city that some others may not get to experience. If you’re feeling a little adventurous then climb up the Montjuïc mountain, don’t worry there’s no need for crampons and an oxygen mask! This oasis high above the city centre is a beautiful contrast to the busy streets. Take a moment to walk through the gardens and then admire the breathtaking views of the city and ocean below. Here you will also find buildings from the 1992 Olympic Games such as the Olympic stadium and the Palau Sant Jordi. Barcelona loves its art - so a trip to one of the many, many galleries is a must. While the work of Gaudí and Picasso features prominently throughout the city, try something a little different by visiting the calm gardens of the open air theatre Teatre Grec and the Barcelona Museum of Contemporary Art. You can spend hours here admiring the work of artists from Barcelona and around the world. Take in a show in one of the city’s great music venues. Treat yourself to a night of classical music in any of Barcelona’s most esteemed venues. Sat on Las Ramblas, Apolo plays host to concerts, operas and musicals and can even rival the grand spectacle of the Gran Teatre del Liceu which is awash with gold leaf and dramatic decor. If you want something a little more raw and ready then the legendary Razzmatazz night club is your go-to gig venue. In the past it has hosted a who’s who of bands including Kanye West, Arctic Monkeys, Coldplay and The Stone Roses to name just a few. Barcelona is one of those wonderful parts of the world that can boast both a vibrant city and an amazing coastline. The city has a beautiful stretch of coastline, around 5 kilometres, and the warm waters of the Mediterranean can be enjoyed just a short stroll from the centre. The beaches are split into a number of different sections but by far the most popular stretches are Platja de Sant Sebatia and Platja de la Barceloneta. The pair are lively during the day attracting tourists and locals alike to take a dip in the sea, try their hand at watersports or simply soak up the sun. You can easily spend the whole day here with plenty of changing facilities and a promenade lined with numerous bars and restaurants. While it is a haven for sunbathing during the day, as the sun sets the Barceloneta area becomes the perfect place to start your evening. Take a seat in one of the stylish bars or maybe grab something to eat and then make your way into the city. If you’re staying close to the Olympic Village, the Platja de Bogatell is right on your doorstep. The beach was specially designed and created for the 1992 Olympic Games and while it is one of the most beautiful stretches in Barcelona, it is also one of the quietest. Close to the Olympic marina is Platja de la Nova Icaria, another of the more understated beaches in the city. It is a favourite among families and is the perfect relaxed vibe compared with the busy Barceloneta. That’s the beauty of holidaying in the city. You can spend one day ticking off the various iconic sights of Barcelona before sitting down for a meal in the Gothic Quarter; while the next day you can walk a couple of minutes and enjoy a day by the beach. When it comes to dining in Barcelona, tapas is the order of the day. Catalans love this style of sharing meals and there is no shortage of excellent tapas restaurants dotted around the city. Tuck into classic plates such as patatas bravas, croquetas and emplanadillas in any one of the splendid restaurants Barcelona has to offer. Enjoy a vibrant atmosphere with a view of the La Barceloneta marina at El Vaso De Oro. Boasting an extensive beer menu, arguably the best in the city, these delicious brews are complimented with tapas items such as chorizitos, solomillo (cubed steak) and spicy tuna. Get there early as this is one of the most popular spots in Barcelona. Swing by the Gràcia region and pop into Gata Mala where you can get a tapas dish for free with every drink you buy, what could be better than that?! If you’re looking for more of a ‘sit down’ meal then head back to the Gothic Quarter where you will be falling over tapas restaurants with one pretty much on every corner. However, a must-visit is Tapeo an absolute haven of tapas with some of the most delicious dishes you’re ever likely to taste. Don’t worry if tapas isn’t your thing as Barcelona has a host of other restaurants catering for the pickiest of tastebuds. There are plenty of pizzerias, steakhouses, Asian-inspired eateries and an abundance of excellent seafood restaurants. A stay in Barcelona isn’t complete without sampling some of the classic Spanish ham. The city is renowned for this mouthwatering delicacy with slices of pata negra, Serrano, iberico and a whole host of other cured meats available. Stop off at one of the many Enrique Tomas outlets across the city and you can grab a baguette filled with these delicious meats for a cheap and easy lunch on the go. Barcelona’s nightlife is kind of a big deal. Soon as the sun goes down this city enters party mode and no matter where you’re staying, you will be able to find somewhere to dance the night or unwind with a glass or two of sangria. You can mingle with fellow tourists or check out some bars and clubs adored by the locals, the choice is yours. Such is the huge variety of nightlife in Barcelona, it is wise to choose one area and stick around there. Many tourists will gravitate towards Las Ramblas and the Gothic Quarter – and this is a justified decision. It may have a stylish reputation in daylight with a variety of galleries, chic architecture and independent restaurants but this part of the city simply oozes cool when it comes to nightlife. Start the evening with cocktails at Boadas Cocktails – a staple of the Barcelona scene since 1933 – at the top of Las Ramblas before making your way into the Gothic Quarter. Continue your adventure with a stop off at the tiny Milk bar, an Irish-inspired cocktail unlike any Irish bar you’ve experienced before. Those looking to continue long into the night, you can party under the disco ball of Ginger Bar, sing along to your favourite indie tracks at Sidecar or check out live music at the iconic Razzmatazz. Don’t fancy the Gothic Quarter or staying a little outside of the centre? No problem, head to the equally stylish area of Eixample. Sample craft beers at Danish microbrewery Mikkeller or channel your inner James Bond at Dry Martini (ranked as one of the 50 best bars in the world). Enjoy a taste of home in the cozy English pub, The Philharmonic, which screens live sports and has live music at the weekend; it is not just the Gothic Quarter where you can get your groove on. Speaking of that, if you’re looking for a club night then head to Port Olympic where the iconic super clubs of Pacha and Opium are within a stone’s throw of each other. There is also the unique Ice Bar on the beach front which is an unforgettable experience. Move over Paris and Milan, Barcelona can undoubtedly challenge for the crown of shopping capital of Europe. The city is awash with the very best retailers, local produce, souvenir shops and everything in between – you really are spoilt for choice when it comes to a spot of retail therapy. The first stop for any shopping splurge in Barcelona is the iconic Las Ramblas. The city’s most famous avenue runs from the bottom of Plaça Catalunya down to the port and blends together Barcelona’s proud history with its modern day chic. Prestige brands such as Chanel and Armani sit alongside market stalls selling traditional Catalonian crafts. Duck down one of the alleys and discover the range of boutiques and fresh food stalls serving veritable delights. Follow Las Ramblas through the Gothic Quarter to find a range of independent shops selling gifts and a host of other unique items. The Gothic Quarter boasts some of the city’s best architecture so take a break from the retail therapy with a coffee or cocktail in one of the numerous cafes watching the world go by. If you’re looking for high end shopping then head north of Plaça Catalunya and you’ll find Passeig de Gràcia. Barcelona’s answer to Carnaby Street and the Champs-Élysées, the street boasts the very best in upscale retail therapy. Designers such as Stella McCartney, Valentino and Louis Vuitton have flagship stores which are sandwiched between the likes of Puma, Hoss Intropia and TCN - if you’ve got a bit of extra spending money available then this is the place to splurge. What makes Passeig de Gràcia all the more stunning is the architecture. Antoni Gaudí’s influence is very prominent in this part of the city with the famous Casa Batlló wedged in between the designer outlets and boutique hotels. You will never be stuck for shopping Barcelona.